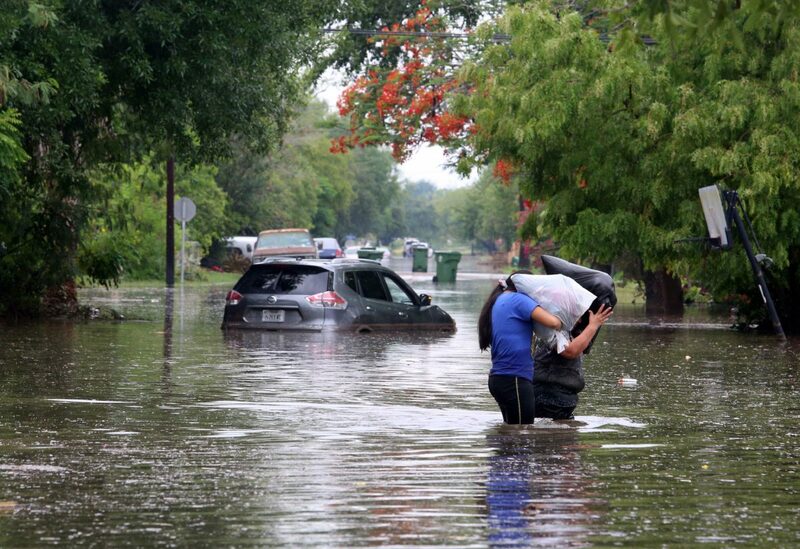 Residents carry their belongings through high water that flooded the corner of 10th and Nebraska after heavy rains caused water to rise and flood whole neighborhoods on Wednesday, June 20, 2018, in Weslaco. As Weslaco residents extract carpet and drenched furniture from inside their homes, the city planned to roll out dumpsters for bulky trash. The large dumpsters will be in place by 3 p.m. Friday, according to information provided by the city of Weslaco. >> Behind Weslaco City Hall at 255 S. Kansas Ave.
City officials ask that debris — like furniture, appliances, and other items — be placed inside the dumpsters. Additional trash drop-off locations may be added.